<img src="/sites/datacenterknowledge.com/files/wp-content/uploads/2010/01/sabey-columbia.jpg" width="420" height="403" /> Sabey Corporation has entered into an equity partnership with National Real Estate Advisors, which will provide $100 million to help expand Sabey's data center operations beyond its core market in the Pacific northwest, the companies said Thursday. Rows of server racks inside the Sabey Corp. Intergate.Columbia data center complex in Wenatchee, Wash.
Sabey Corporation has partnered with National Real Estate Advisors to form a new venture that will expand Sabey's data center operations beyond its core market in the Pacific northwest, the companies said Thursday. The new company, Sabey DataCenter Properties, will include Sabey's existing data center developments. NREA will have a minority equity interest and will invest $100 million, which will be used to support the current portfolio and finance growth in new markets. 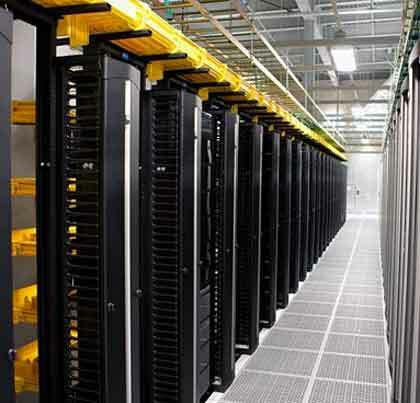 Sabey is not identifying any of the markets where it may eventually operate data centers. But the company has forged a strong track record in building energy-efficient facilities, and its expansion comes at a time of growing interest in data centers built to the highest efficiency standards. NREA is a real estate investment management and advisory firm owned by National Electrical Benefit Fund (NEBF), a multi-billion dollar pension plan that provides retirement benefits to employees in the electrical industry. Sabey Corp. is a privately-held, Seattle-based commercial real estate development and construction services company that builds and operates data centers, medical facilities, office space and mixed-use properties. The company has built more than 27 million square feet of commercial, industrial and residential space and manages three million square feet of its own commercial and technology space. Sabey has more than 20 years of experience in the data center business and is perhaps the largest provider of hydro-powered facilities in the United States. The company controls more than 1.7 million square feet of data center space in Washington state that will form the nucleus of Sabey DataCenter Properties. Its properties include the huge Intergate.East and Intergate.West developments in the Seattle suburb of Tukwila and the Intergate.Columbia project in Wenatchee, Wash. Sabey is also building a data center complex in Quincy, Wash. that will be called Intergate.Quincy. Doug Webster, Howard Loewenberg, and Justin Puccio of Signal Hill and Jim Kerrigan, Director of National Datacenter Group of Grubb and Ellis provided financial advisory services on the transaction. Scott Greenburg and Robert Starin, of K&L Gates LLP provided legal services.